Bought Herbal GI by Karuna Health for constipation hasn't seemed to help much. Been on it for over a week. 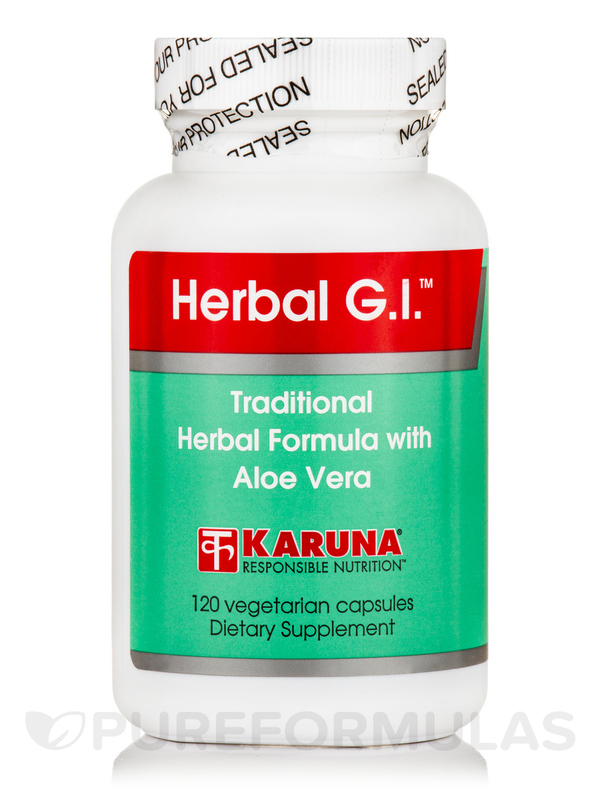 Karuna Health’s Herbal G.I.™ is a natural supplement that may act to maintain gastrointestinal health by working to soothe the mucous membranes in the GI tract. Notably‚ Herbal G.I.™ contains a blend of herbs that is based on a traditional naturopathic formula. For example‚ marshmallow (althea officinalis) is an herb that may work as a mucilage‚ which means that it produces a thick‚ glue-like substance that can coat the stomach in order to relieve mild irritation. As a result‚ this product may help address certain symptoms associated with minor stomach ulcers‚ indigestion‚ or inflammatory bowel disease (IBD). 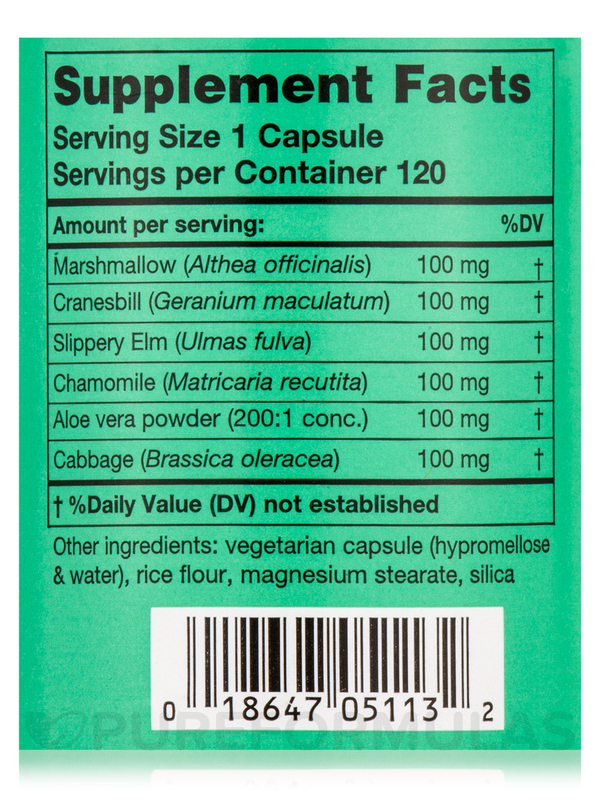 Last‚ every tablet of Herbal G.I.™ contains 100 milligrams of aloe vera powder‚ which might have a gentle anti-inflammatory effect. Aloe vera may also work to alleviate some signs of mild constipation because it contains anthraquinone glycosides that might have laxative properties. Take one or two tablets three times daily. 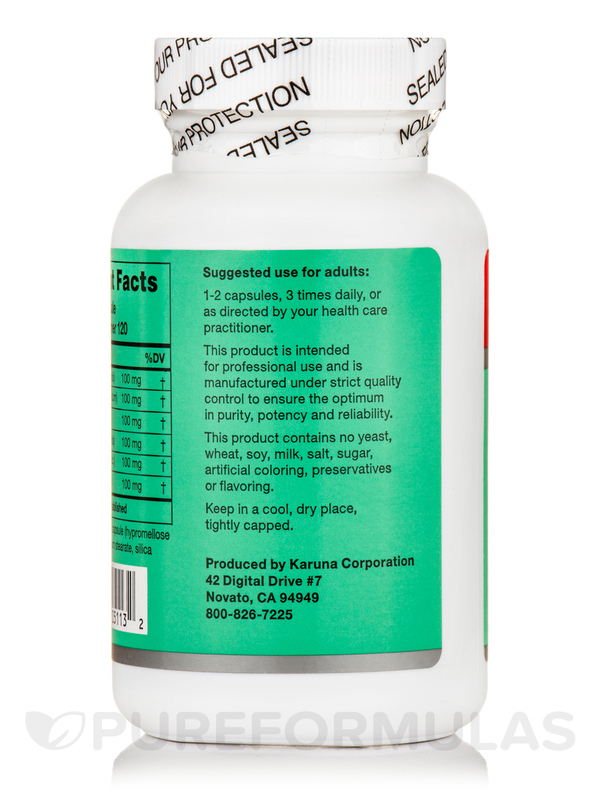 At the recommended serving size‚ each 120-tablet bottle of Herbal G.I.™ by Karuna Health should last for up to 40 days. Other Ingredients: Cellulose‚ vegetable stearine‚ guar gum‚ vegetable stearate. 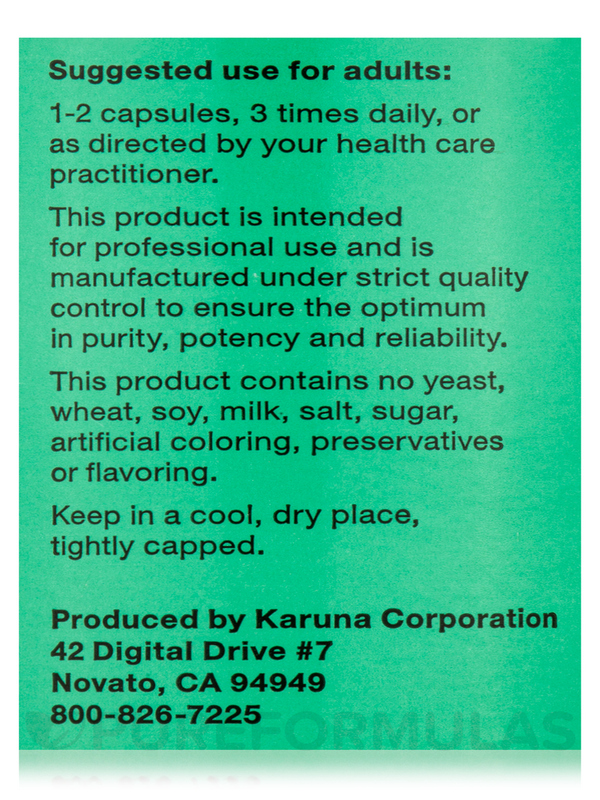 This product contains no yeast‚ wheat‚ soy‚ milk‚ salt‚ sugar‚ artificial coloring‚ preservatives or flavoring. 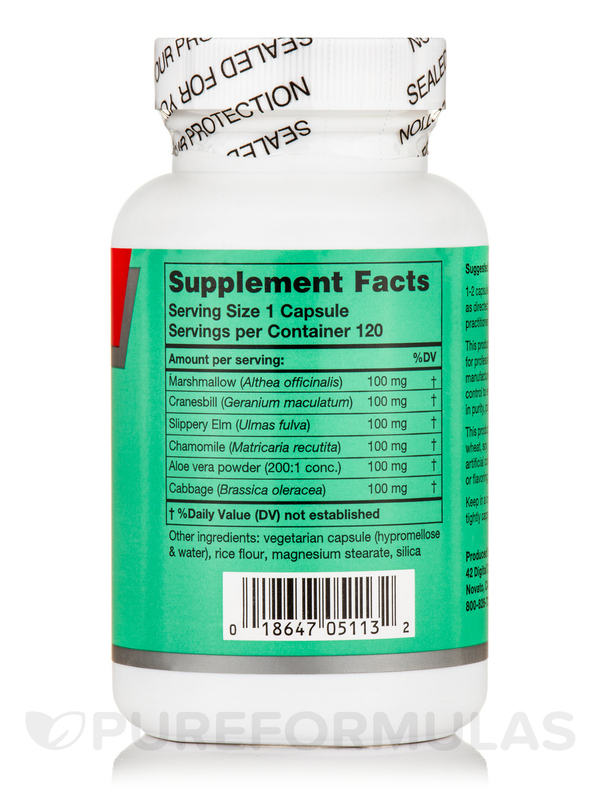 1-2 tablets‚ 3 times daily‚ or as directed by your healthcare practitioner. Herbal GI was recommended to me by my doctor. I found it to be a good digestive aid.